Address: Gramacho Pestana Golf Resort, Lagoa (Algarve), Portugal. Golf Villas Gramacho Resort is located in Lagoa and offers a garden. 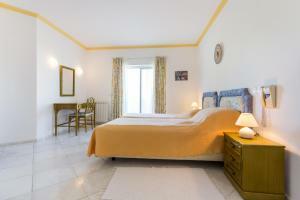 The accommodation is 21 km from Albufeira. Offering direct access to a terrace, the villa consists of 3 bedrooms and a fully equipped kitchen. There is a bathroom with a hair dryer. The villa offers an outdoor pool. This property features a terrace. Lagos is 17 km from Golf Villas Gramacho Resort. Faro Airport is 47 km from the property.